Every Monday from 4:00-8:00PM, during June 3 to August 26, a farmers' market sets up shop in Washington Park near the event lawn and Music Hall. 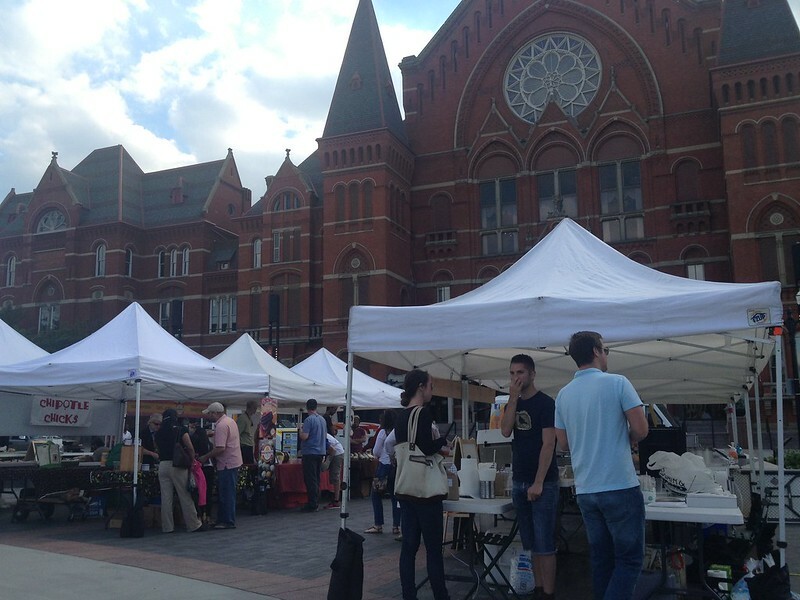 The collection of local vendors offer ready-to-eat food and produce as alternative shopping to Findlay Market, which is closed on Mondays. 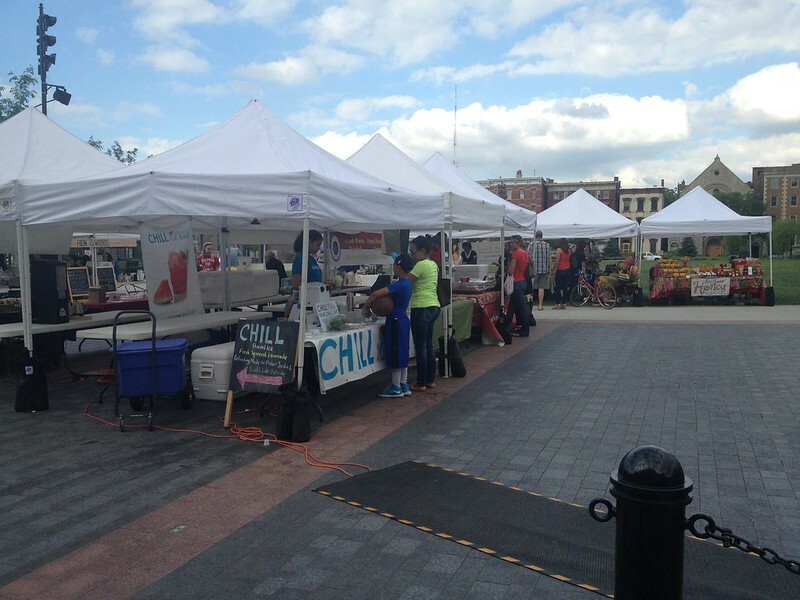 You'll find several of your favorite Findlay vendors here, as well as many who are new to the scene. 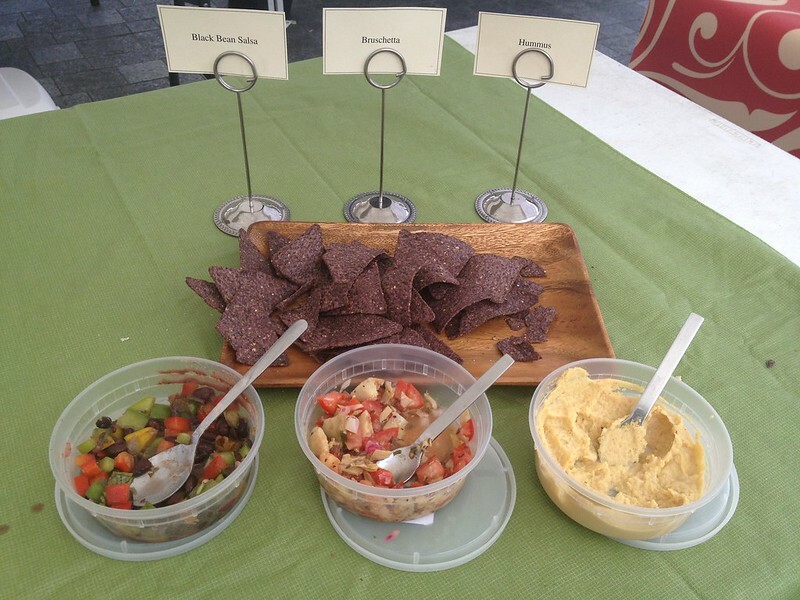 Black bean salsa, bruchetta, and hummus, all garden fresh from the kitchen of Cara Bella Organic. 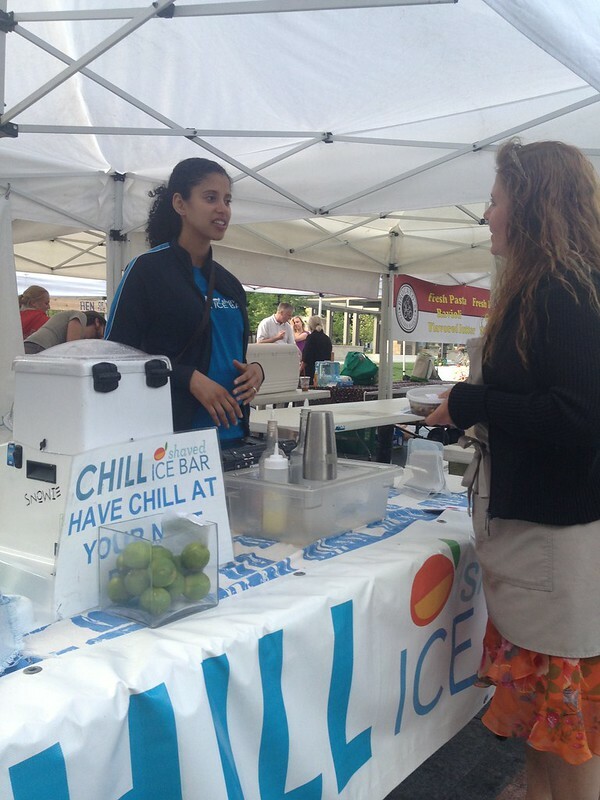 Chill Shaved Ice Bar uses all-natural fruits and sweeteners to create organic sno-cones for a no-guilt summer treat! 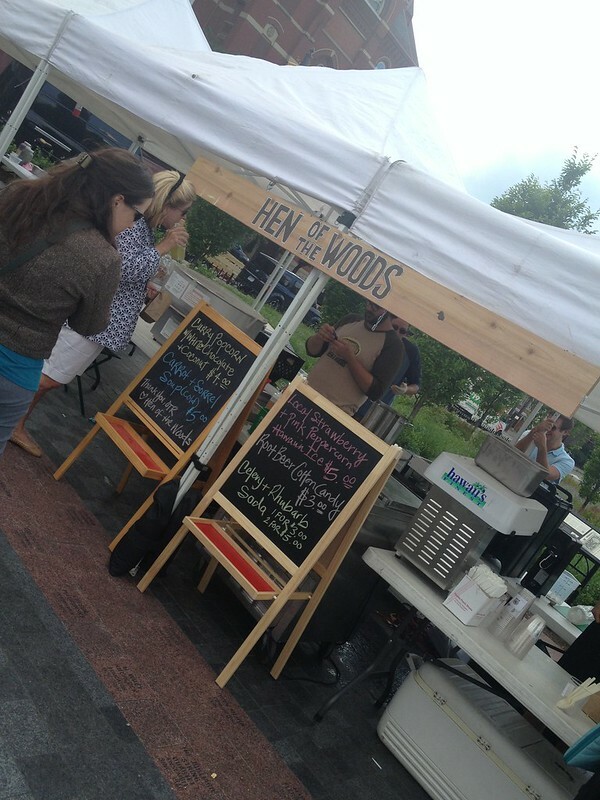 If you're a foodie, definitely stop by Hen of the Woods. 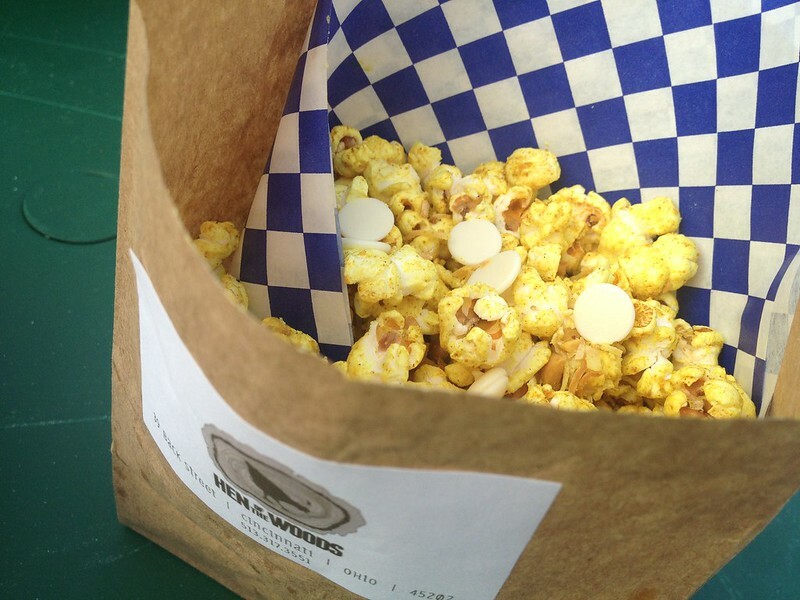 These creative snackers cooked up some unique treats to munch on while you shop the market, such as root beer cotton candy, celery and rhubarb soda, or my evening indulgence: curry popcorn with white chocolate and coconut. 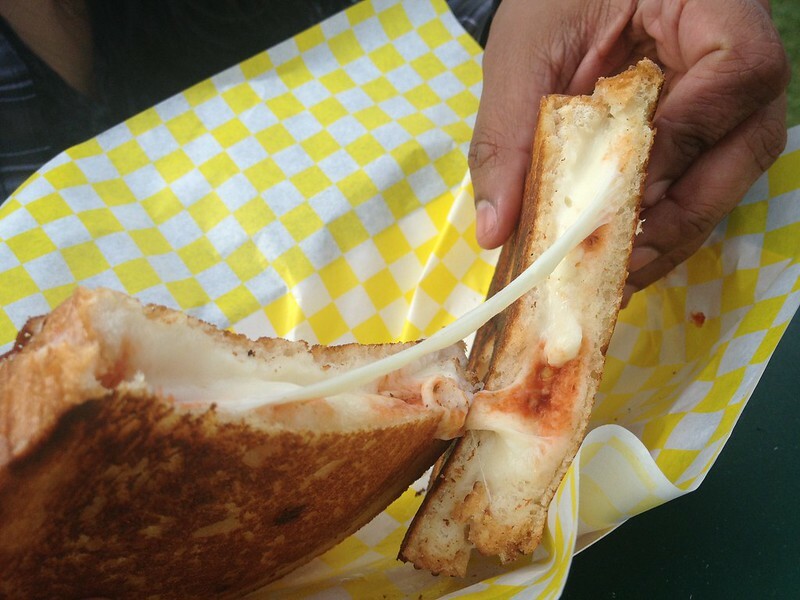 my friends all paused to Instagram it after the first bite. 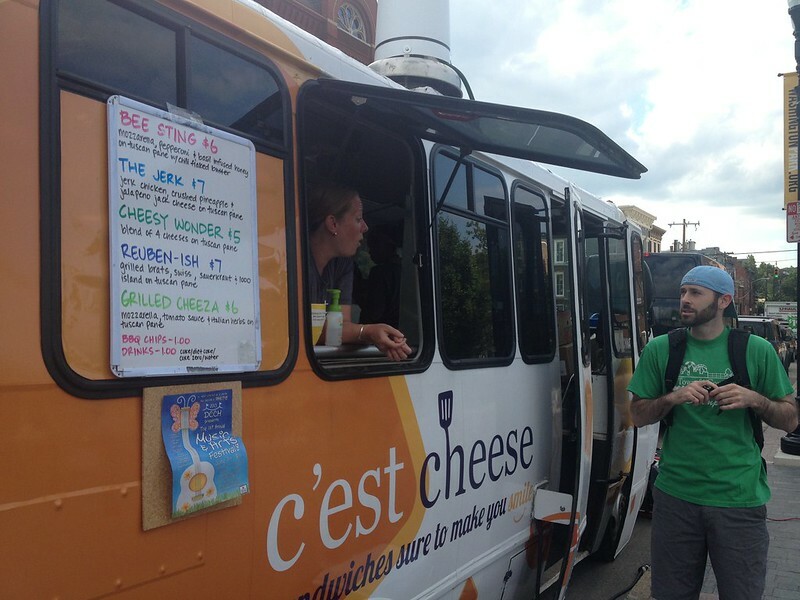 One of my favorite food trucks, C’est Cheese, will be grilling up gooey, delectable sandwiches at Washington Park every week through August. I know where I'll be getting my Monday night dinner!